The photographer Reza has always attached great importance to transmitting the visual testimonies of those he has encountered on his way as a photojournalist for the past forty years. Still, he does not own these portraits, these scenes from everyday life captured with his camera: these images testify to the multiple realities of our family, the human family. 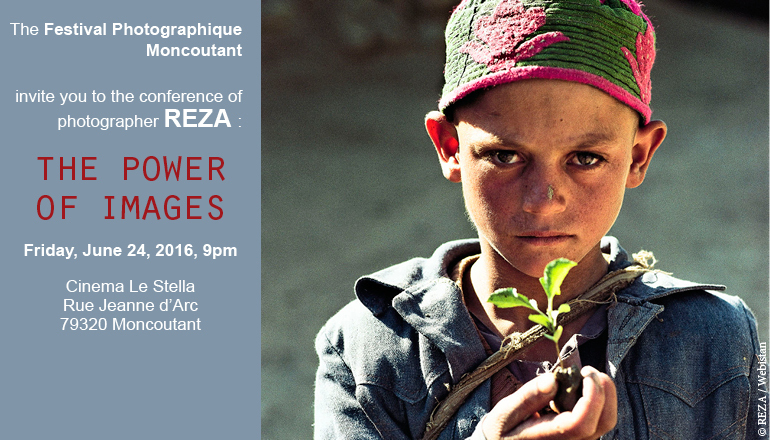 Thus, from reportages to international exhibitions, Reza will halt this summer in Moncoutant where he will be very glad to be the guest of honor of the Festival Photo Moncoutant 2016. A public conference will follow the opening of his exhibition “One World, One Tribe”, displayed in the park of the castle of Genève.